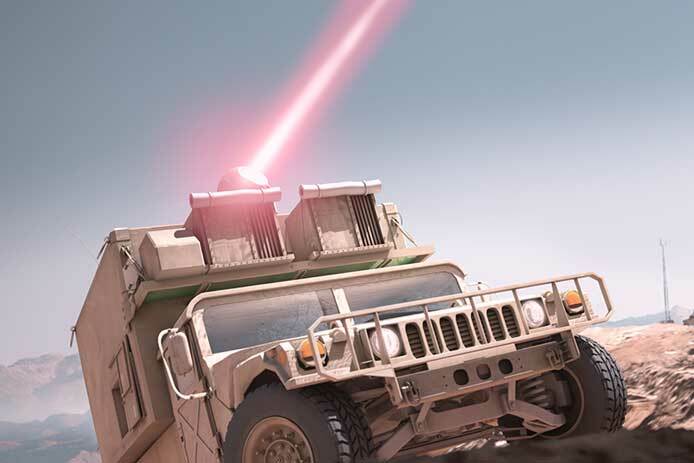 Raytheon Company is developing a 100 kW Class Laser Weapon System Preliminary Design for integration onboard the Family of Medium Tactical Vehicles. This is a US$ 10 million U.S. Army's High Energy Laser Tactical Vehicle Demonstration programme contract. The HEL TVD, a U.S. Army Science and Technology Demonstration programme, is part of the Army's Indirect Fire Protection Capability Increment 2 initiative. Upon HEL TVD Programme Option Two completion, the one supplier will be awarded a System Development and Demonstration contract by the U.S. Army to build and integrate a Weapon System on the Family of Medium Tactical Vehicles. A System, Development and Demonstration Contract decision, valued at nearly US$ 130 Million, is expected early in 2019. Raytheon Company, with 2017 sales of US$ 25 billion and 64,000 employees, is a technology and innovation leader specialising in Defence, Civil Government and Cyber Security Solutions. With a history of innovation spanning 96 years, Raytheon provides state-of-the-art Electronics, Mission Systems Integration, C5I Products and Services, Sensing, Effects, and Mission Support for customers in more than 80 countries.